Are the police officers who recently killed black men, by definition, racist? I found myself wanting to avoid the accusation of "racism. "Did they consciously hold the thought that black men deserve such treatment? Did they intentionally act on such thoughts? Or were their horrific acts the product of unconscious racial bias? Like everyone I know, I am appalled by what was revealed by cell phone video last week - and over the past few years. Why did I want to think of bias - instead of "racism"? How are they related? 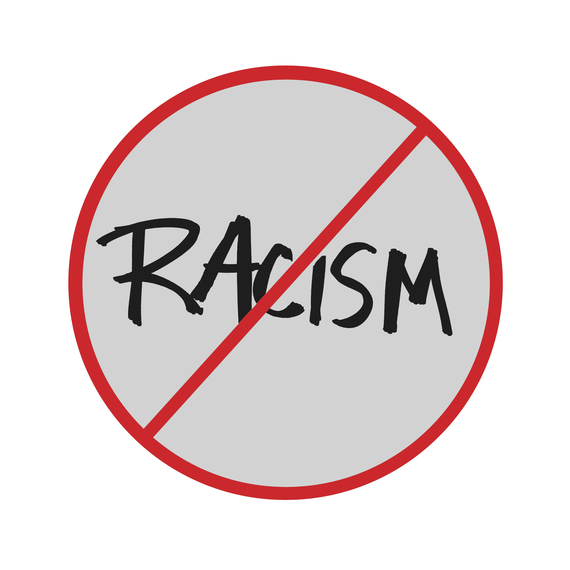 A dictionary definition of racism is "a belief that race is the primary determinant of human traits and capacities and that racial differences produce an inherent superiority of a particular race." The term "racist" seems harsh, damning and divisive. Vernellia R. Randall takes the position that, "Any action, intentional or unintentional, that is based on race or skin color and that subordinates an individual or group based on skin color or race is racism." I found this dictionary definition of the word, "bias": "[A] partiality that prevents objective consideration of an issue or situation." How normal that sounds compared to "racism"! It is clear that we all have biases. Shankar Vedantam shows us in his book, The Hidden Brain: How Our Unconscious Minds Elect Presidents, Control Markets, Wage Wars, and Save Our Lives, that bias is a human survival mechanism - a short cut of our brains. We are all biased. But does that mean we all "racists"? The implicit bias tool, created by Project Implicit, indicates that all of us, particularly white people, have racial bias. Some say that means we are all racists. It's harder to admit that I am racist than it is to admit that I have biases! And that's why I sought a less accusatory term. These events have made me think about bias and "isms." I generally focus on unconscious bias in the context of gender - or masculine-feminine differences. Gender bias can show up as obstacles for women reaching their potential. The extreme version is sexism. My reflection has led me to see that discrimination and these awful events are how bias (conscious or unconscious) looks in the context of race - and that "racism" is the extreme version of racial bias. Biases allow us to stereotype others. Likely the police officers held, consciously or unconsciously, stereotypes about black men, painting their victims with the brush of other black men. Now we see people painting law enforcement officers with one brush based on the actions of a few. Deciding if those enforcement officers acted based on bias or racism is not my job - and not relevant. What is relevant is using this opportunity to take a look at racial and other biases that are not fair and lead to bad results. To create a culture of inclusiveness (what a dream!) requires that we all look at and acknowledge our unconscious biases - so we can do something about the ones that are unfair or cause harm to others.